I have had quite a few tattoos from my mate David “Pengerzz” Jenkins and I am from Manchester, UK. 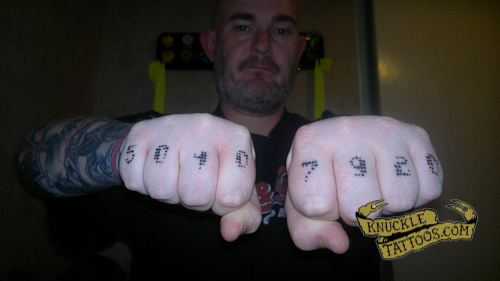 My tattoo is the numbers “5040” & “7920” and they are very important numbers in mathematics. They are also connected to crop circles and aliens, which I am into… and ultimately the reason I got the tattoo.